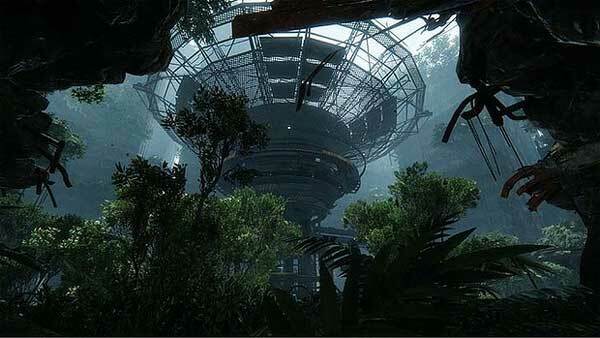 Crysis 3 PS3 Review. It’s the Crysis you know, but with a few new strings to its bow. Not just a high water mark for graphics anymore. 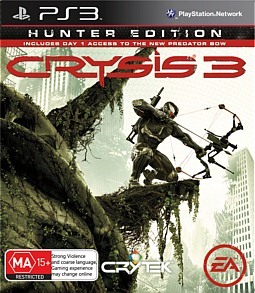 With Crysis 3, Crytek have gone back to their roots. You can take that as a terrible jungle-related pun, but it’s also true in the oft-applied figurative sense. 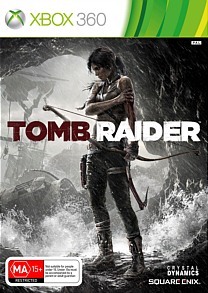 This game is chock full of gameplay and thematic elements that have been in the slow cooker since the very first Far Cry: The ability to mark targets from afar, vehicle-related action scenes, alternate paths, and of course, that ever-present jungle. 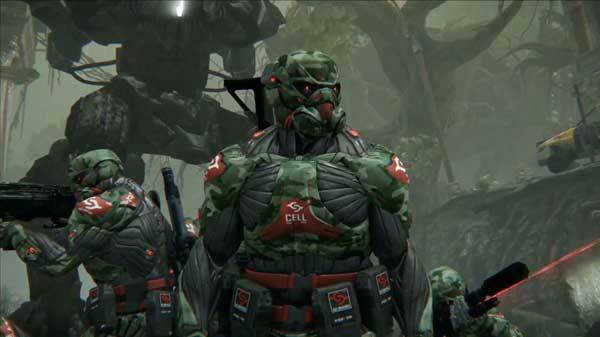 In Crysis 3 we resume control of ‘Prophet,’ a nano-suit wearing super-soldier. Prophet is the last of his kind thanks to the evil CELL corporation, who have skinned his former comrades out of their suits. At the start of the game Prophet himself is in custody, and also seemingly in line for a Dermabrasion appointment he‘ll never forget. That’s until he’s rescued by Psycho, a war buddy from the first game. Psycho has already been skinned, an event that has left him feeling bitter, to say the least. Skipping hand-in-hand, (okay, so not quite) the two of you enter the ‘liberty dome,’ a huge enclosure that has been built by CELL over Manhattan island. Sweltering jungle has replaced the urban sprawl, thanks to a bizarre Ceph energy source, making the city one giant greenhouse. The story progresses through cut-scenes and radio transmissions from Claire, leader of a handful of rebels who are opposed to CELL. The story is fairly scant, but some nice moments of drama are provided by the voice actors. The character of Psycho supplies what was missing in the last game: A human element. Beneath all the cockney bluster and swearing, he’s all heart- the perfect foil for Prophet, who’s constantly on about duty and sacrifice and the like. It’s not the most sophisticated tale ever told, but it’s enough to make you care. The majesty of the game’s setting is what immediately grabs you. The art direction is sublime, with city streets transformed into gushing rivulets, and buildings choked and adorned with every kind of plant life. Every location is beautiful. You’ll appreciate the little details, like smudges appearing on your visor when you look up at the sun. The lighting effects are excellent, and really bring the overgrown metropolis to life. A few graphical glitches do crop up, such as weird reflection effects on water, or a gun model that fails to load after you respawn, but these are very small grievances. Also very clever is the dome itself; by looking up, you can see the boundaries of the game world and where you are within its confines, creating an impressive sense of scale. It’s a similar effect to looking out at the ring in the first Halo game- mostly an illusion, but a convincing one. The music is serviceable, but it does tend to peter out at odd times. This usually happens when you choose the stealth option in a level where the developers expected you to come out with guns blazing, and the music simply runs out because you’ve taken too long. 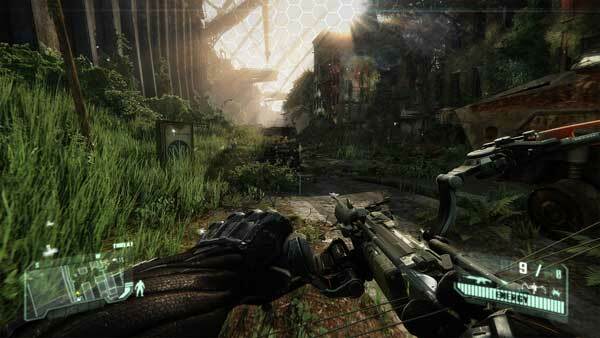 You’ll go into Crysis 3 with much the same ability set as you did in the last game. The best strategy is still to find a vantage point and scan the area for tactical opportunities. 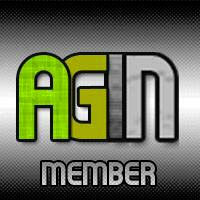 There have been a few tweaks, however. Hovering over an enemy with your cursor for a moment will automatically mark them on your radar, negating the need to manually designate them. Another welcome change is that the game won’t dictate your options to you, by attaching labels like Avoid, Stealth, Flank on your map. These opportunities are still there, but it lets you discover them for yourself. The biggest inclusion to your arsenal is the much-touted ‘Predator Bow,’ which is just about as awesome as it sounds. By changing the bow’s settings you can either fire off a quick shot, or conversely, draw the string a little more and nail somebody to a wall. Different arrowhead types allow you to electrify ponds for ‘stunning’ results, or attack armour with explosive tips. As well as the bow you still have the full range of submachine guns, shotguns and sniper rifles, all of which can be customised on the fly. Crysis is an unusual game, in that it makes concessions to both the stealth genre and the FPS, sitting somewhere in the middle of the spectrum. Dedicated stealth players might feel let down by the lack of basic abilities, such as being able to dispose of a body. It’s all well and good to aim for a perfect play-through, but if a body is noticed- and it usually is- the enemy alarm level will shoot up and stay there. And the question remains: If I have a cloak, even one that needs recharging, why not just sneak past everyone? Well, you can. Unless it’s one of the rare occasions where the game will make you slaughter everyone in the room before letting you ‘remember’ how to operate a door handle. The best way to approach Crysis 3 is as a sandbox shooter. You’re given a panoply of weapons to play with, expansive levels, and ample opportunity to explore every method available. It’s best not to commit to any one weapon or ability, but give them all ‘a shot,’ as it were. As well as the standard Death-Match, Team Death Match and Capture the Flag variants, there’s a unique ‘Hunter’ mode which aims to make use of the cloak mechanism. A couple of cloaked hunters in each map have to eliminate soldiers, with each downed soldier re-spawning on the hunter side- resulting in some tense and competitive ‘whittling down’ in the tradition of your favourite horror film. There are some nicely designed maps on offer. 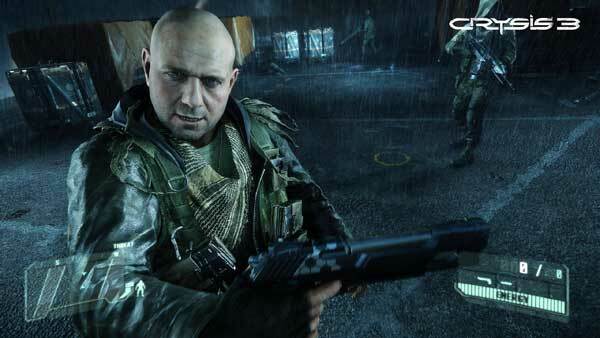 Crysis 3 is a less ‘directed’ experience than your typical shooter. Some players might feel bemused by the part-sandbox, part-stealth, part-run-and-gun mentality, and consequently struggle to find their rhythm. But sometimes the game just clicks, such as when you’ve whittled an enemy squad down to the last terrified man and he jumps ten feet when you de-cloak in front of him holding a shotgun. It’s the Crysis you know, but with a few new strings to its bow. Not just a high water mark for graphics anymore.